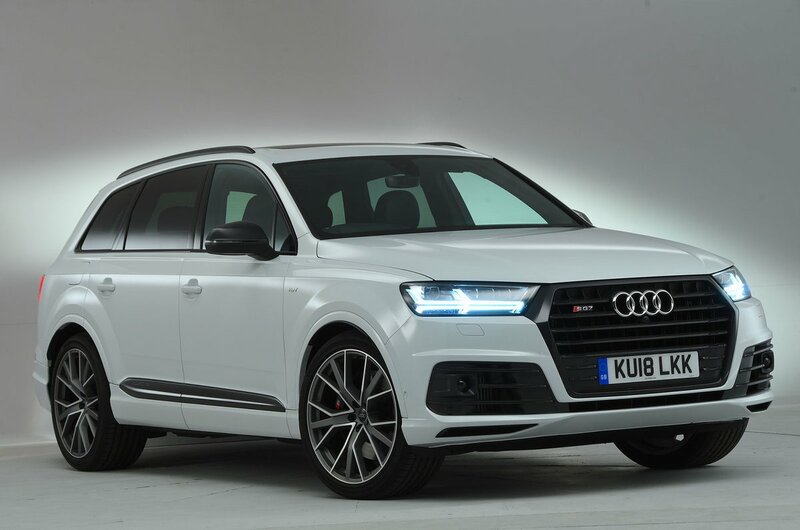 Audi SQ7 Running Costs, MPG, Economy, Reliability, Safety | What Car? The SQ7 is a pricey cash buy, no doubt. It will also set you back a few thousand pounds more than the BMW X5 M50d, yet remains a relative bargain next to the Porsche Cayenne. It’s worth keeping in mind that the Cayenne will hold onto its value better, though. Claimed average fuel consumption of 39.2mpg is way better than what's promised by the Range Rover SVR or Cayenne Turbo (the advantage of the SQ7 running on diesel), and in our real-world True MPG fuel test it averaged a creditable 30.8mpg. Higher CO2 emissions than an X5 M50d and that higher list price mean the SQ7 will cost company drivers more in benefit-in-kind tax, although it'll still cost you far less in salary sacrifices than a Cayenne Turbo. Once you’ve accepted the relatively dramatic costs involved, you can at least enjoy all these luxuries and gizmos: sports adaptive air suspension, 20in wheels, a sports exhaust, LED headlights, Audi’s 12.3in Virtual Cockpit instruments, electrically adjustable and heated front sports seats, Valcona leather seat trim, sat-nav, four-zone climate control, front and rear parking sensors and a rear-view camera. 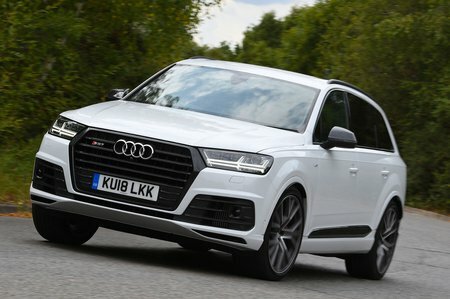 All of the above is fitted to the standard SQ7; go for the Vorsprung edition and you'll also get huge 22in wheels, adaptive cruise control, a panoramic glass roof, a black styling pack, matrix LED headlights, a full leather interior and a punchy 558W Bose 3D sound system. Euro NCAP awarded the SQ7 a five-star safety rating. It comes with active safety equipment including low-speed automatic emergency braking, which alerts you to potential frontal collisions with cars or pedestrians and applies the brakes if necessary. 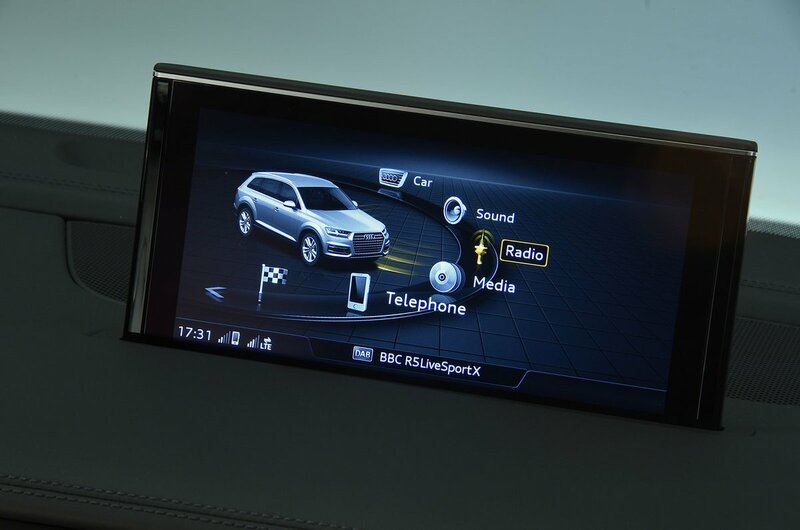 However, the Vorsprung variant adds heaps more standard safety aids, including high-speed automatic emergency braking, rear cross traffic alert, traffic sign recognition and active lane assist. Passive safety comes in the form of standard front and side airbags, plus curtain airbags that protect those in the front and middle seats. There’s no driver’s knee airbag, but rear side airbags for the middle-row passengers are on the options list, while all six passenger seats have Isofix child seat mounting points as standard.